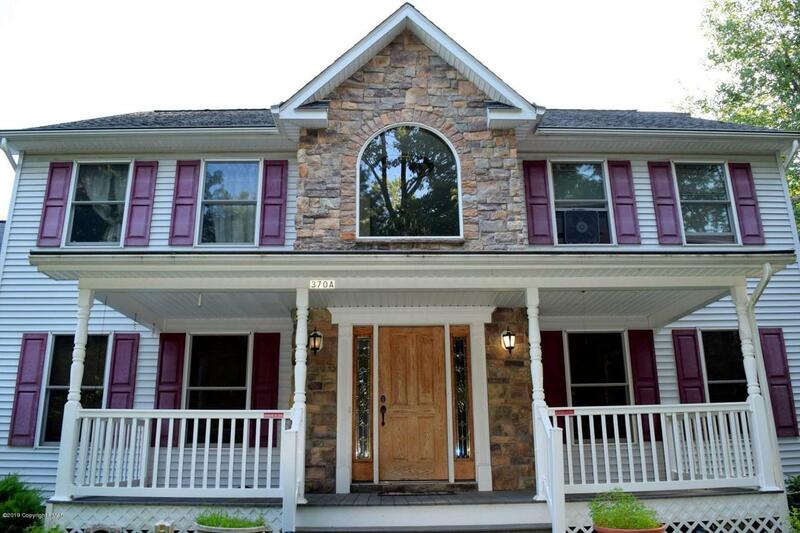 TOBYHANNA Charming 4BR 2.5BA Center Hall Colonial Home Offers 4 LEVELS Including FULL WALK-OUT BASEMENT w/ GeoThermal, Expansive WALK-UP ATTIC, GRANITE Center Island Modern Kitchen, BUTLER'S PANTRY/WET BAR Off Formal Dining Room, MASTER SUITE w/ Sitting Room, Garage WORKSHOP & ABOVE GROUND POOL! NOT IN DEVELOPMENT! NO DUES! Main Level Features Upgraded Modern Center Island Kitchen w/ GRANITE COUNTERS, STAINLESS STEEL APPLIANCES & Custom Tile Backsplash w/ Dining Area Flowing into Living Room & French Doors to Family Room! BUTLER'S PANTRY/WET BAR Off Kitchen to Formal Dining Room w/ HARDWOOD FLOORS! CATHEDRAL CEILINGS Foyer Leading Up to 2nd Level w/ MASTER SUITE Featuring SITTING ROOM w/ Skylights, En Suite Jetted Tub, Dual Vanity & Separate Shower! AMPLE STORAGE Space Throughout!3 Additional Generous-Sized Bedrooms Plus Main Bath w/ Dual Vanity! 4th Bedroom w/ Access to 4th Level Expansion WALK-UP ATTIC Used as 5th Bedroom w/ Cedar Closet & More Storage Space! FULL WALK-OUT BASEMENT for Additional Storage! Enjoy Outdoor Living & Easy Entertaining w/ the Deck & ABOVE GROUND POOL! Home has Ultimate Privacy Lined w/ Trees Tucked Away on Double Lot! Attached 2-Car Garage w/ WORKSHOP & Paved Driveway! MUST SEE to Appreciate This Ultra Spacious Home! Call Today for Your Private Showing!